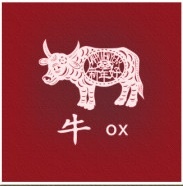 The Association of Asian American Yale Alumni (AAAYA) and Yale Alumni Association of Metropolitan NY (YAAMNY) invite Yale Alumni, Families, & Friends to Celebrate the Year of the Ox. All alumni (not only those of Asian descent) and guests are welcome. Reception at 6 PM, Dinner at 7 PM. The eight-course meal includes lobster, steakcubes, and Peking Duck. Guests can order beer ($4/bottle) or wine ($6/glass) on their own. BYOB of wine ($5/bottle corkage fee). Register by February 17 to qualify for "early bird" pricing of $50; after that, prices increase by $5 (to $55), so register now to get the discounted rate. Also, a limited number of $40 tickets are available on a first come, first served basis for young alumni, students, children, "starving artists", etc. Proceeds from this event will support two summer interns working in NYC Asian American community organizations. In 2009, the third year of this program, interns will be placed at the NY Asian Women's Center & the Asian American Writer's Workshop. To get the early bird discounted rate by mail, your check must be postmarked by February 16th. There are 4 steps down to the Banquet Room. Please let us know if you or your guest(s) will need any assistance.